» Bruegger’s: Free Coffee Today! Home » Capital Region Deals » Bruegger’s: Free Coffee Today! 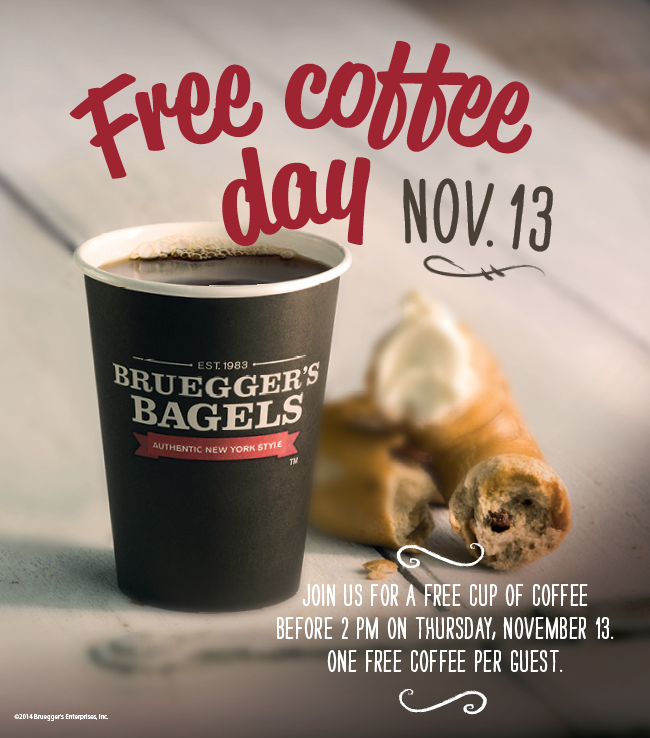 Today only (11/13), Bruegger’s stores are offering a free cup of coffee for each guest before 2 PM. This entry was posted in Capital Region Deals, Freebies and tagged Brueggers, freebie. Bookmark the permalink.